Some wins come clean and easy. Some wins come with minimal effort and limited liability. But not all. Some wins come only after you shed blood, sweat and tears. Some wins you have to gut out and eak out. And such was the case last night as Clayton Kershaw managed to muster just enough moxy to squeeze out 5 innings against the Washington Nationals for a 4-3 classic that few will remember. 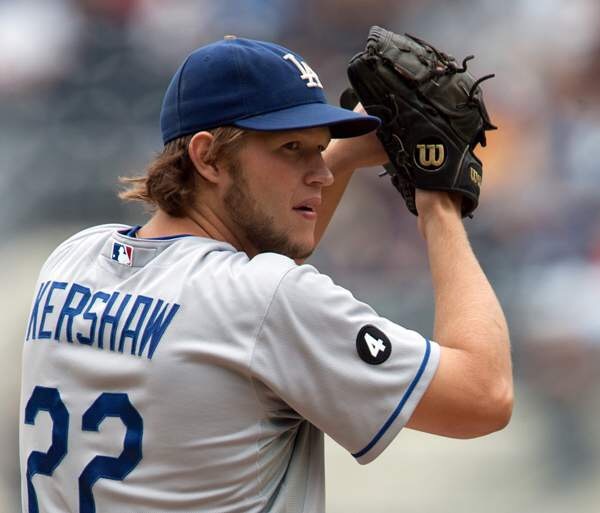 But for purists, Kershaw’s hutxpah and chutzpah should not be long forgotten. Kershaw is arguably the best pitcher on the planet. He’s almost unhitable during the regular season and he’s been a multiple Cy Yong Award winner over the past few years. But for some reason or another, he falters every fall. His post season statistics and record are paltry at best. For Kershaw, last night’s outing was different and the same all at the same time. He looked tired and wired and pressed and stressed; he threw 101 pitches in 5 long, hard innings. And yet his superman cape had just enough anti-kryptonite karpunza to cap off a gutsy road win. Kershaw let out a war cry of a yell after he notched his last strikeout, letting everyone watching know that this one wasn’t easy. But it was worth it. Kershaw willed himself across the finish line. He didn’t have his best stuff, and that made his performance all the more heroic. To win Game One on the road was worth him sweating and swearing and swamping his way to a win. And that’s how it is sometimes. Sometimes it’s not pretty. Sometimes it’s downright ugly. But it’s always worth it to gut it out and get it done.